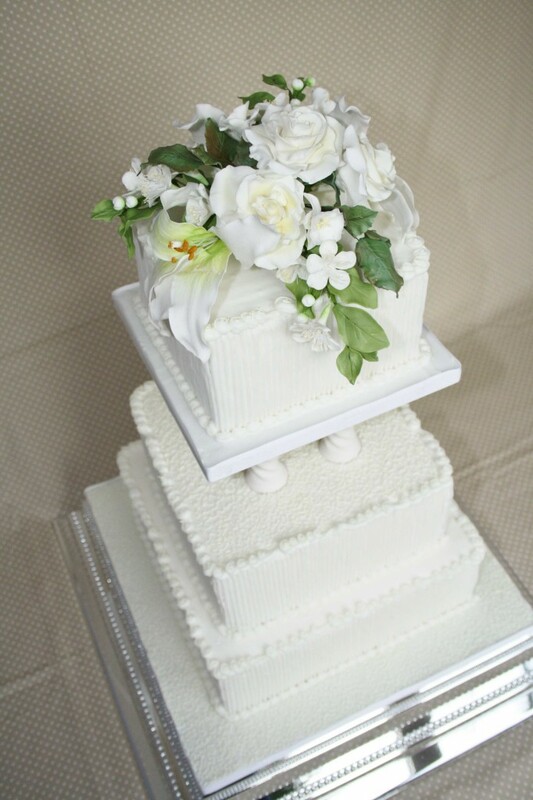 Three tier wedding cake, royal iced with white wired sugar flowers based on Royal wedding bouquets including sugar roses, sugar lilies and sugar myrtle. 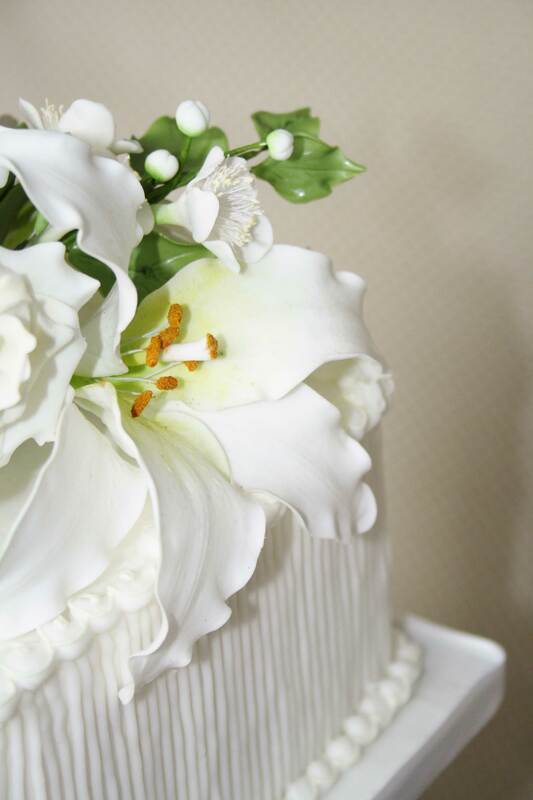 Hand piped detailing and finishing to all tiers. Cake serves 200 finger portions.